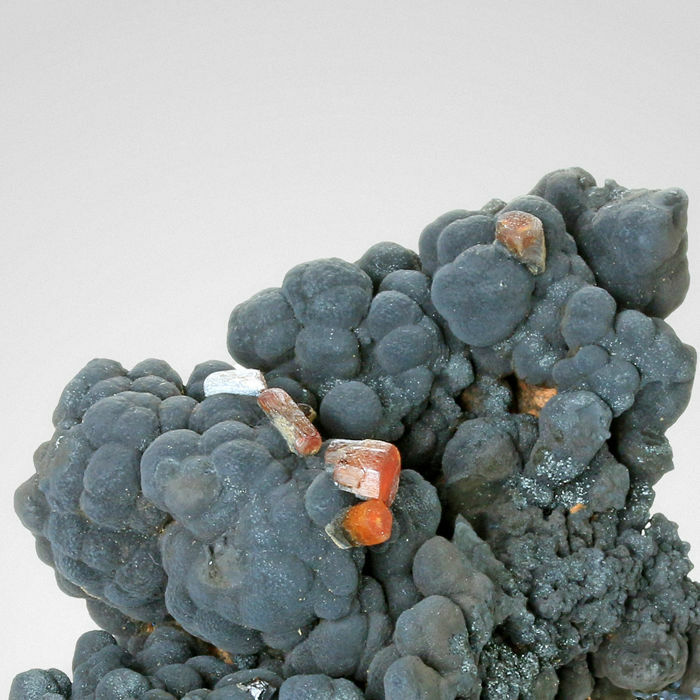 Amazing huge specimen of smooth dark gray bubbly botryoidal goethite with one small crystal vanadinite from Morocco. 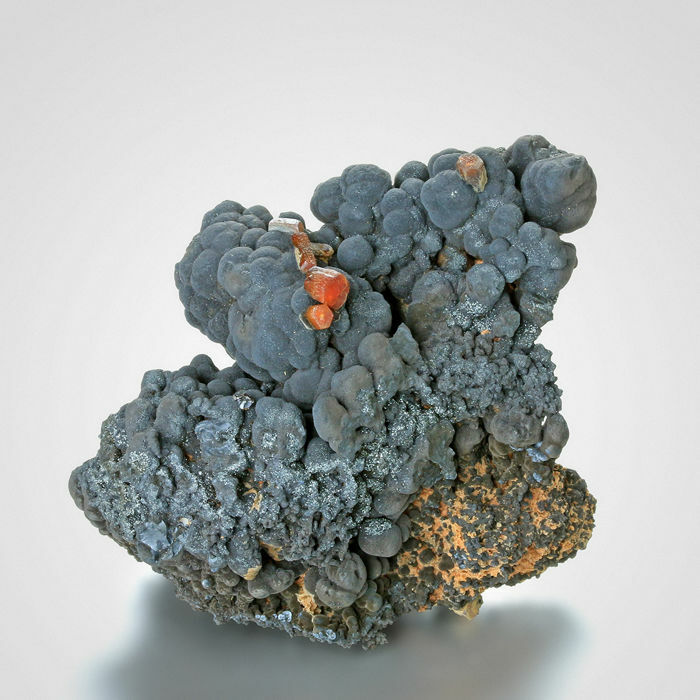 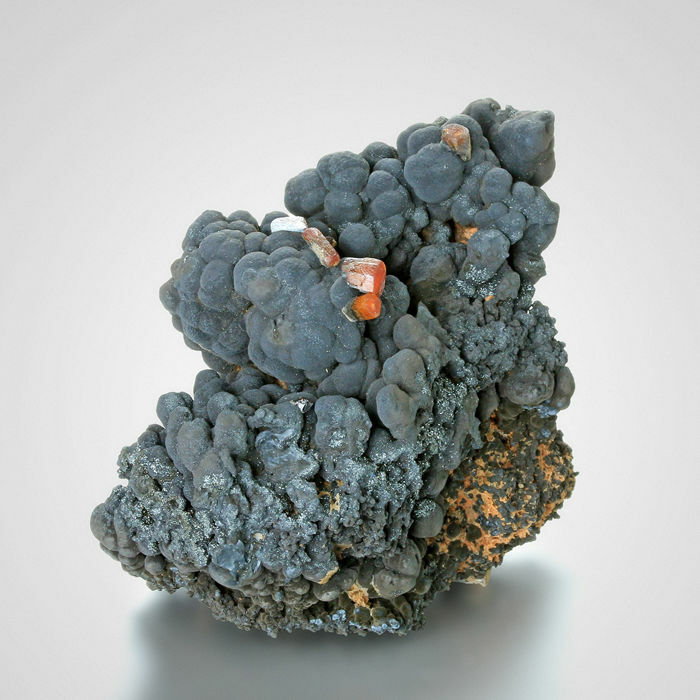 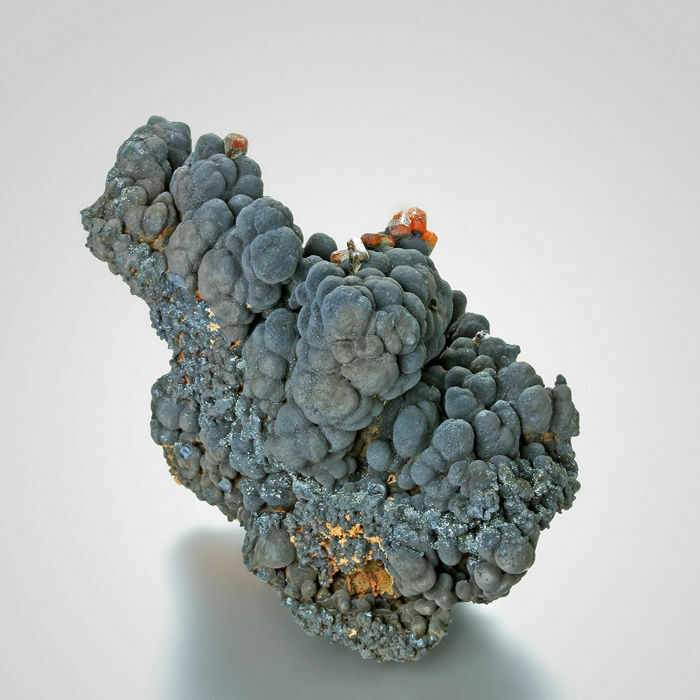 The goethite on this specimen has a soft, earthy luster and is formed in ridged botryoidal hemispheres that create a richly three-dimension look. There is some damage.